This user-friendly handbook is great for any classroom teacher looking for quick ways to support student engagement and active participation in learning. Directors of school programs and teachers alike report that these ideas are “easy-to-use” and fun for their students. 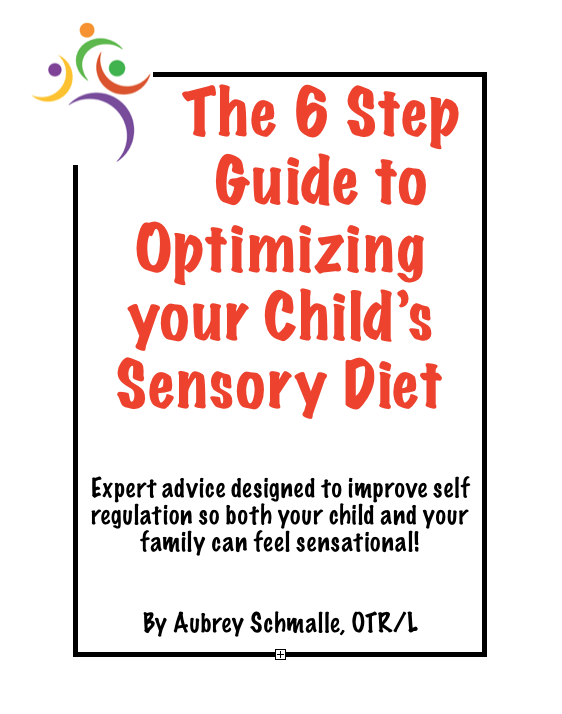 Using her expertise and creativity, Aubrey Schmalle, OTR/L has designed this program in collaboration with the therapists at Sensational Achievements to offer teachers the practical solutions they have been looking for to meet diverse student needs. With this changing generation of learners and rise in diagnoses such as Autism and ADD, educators are faced with the task of teaching children with a variety of neurosensory profiles. 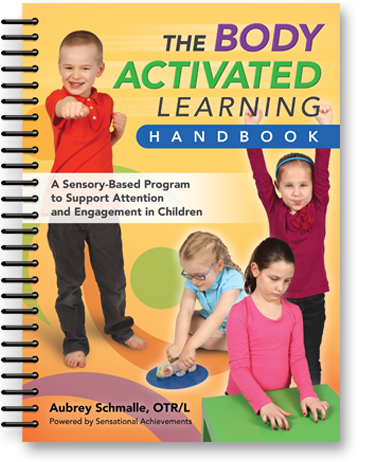 The Body Activated Learning Handbook guides teachers and parents through exercises and activities that foster self-regulation while optimizing brain and body activation for learning. The result is improved attention, focus, and active engagement in the learning process to meet the changing demands of the school day. Visit our shop to order your copy today!